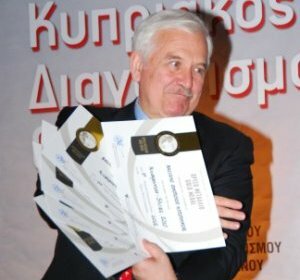 At the award ceremony last night, while addressing invited authorities, winemakers, international judges and distinguished guests, Mr. Ionnides, deputy director of the Cyprus Wine Products Council, highlighted the importance of the competition as a lauch pad for Cyprus Wines but also as a demonstration of strict quality from the guiding rules of blind tastings as specified by the cannons of the International Organisation of Vine and Wine, OIV. Congratulating the Cyprus Wine Council in it’s efforts, Minister of Agriculture , Natural Resources and Environment Sophocles Aletraris, the International Organisation of Vine and Wine (OIV) Director General Federico Castellucci, the Chairman of the Cyprus Wine Council and Chairman of the 7th Cyprus Wine Competition, Panicos Leonidas, Rowald Hepp, presiding the wine judging panel, and the chairman of the Cyprus Wineries Association Antonis Hadjipavlou – all remarked effusively the important achievements by the Cyprus Wine Council in the support and progress made by the wine industry. We can all join in the congratulations to the Cypriot wine producers for their outstanding quality wines this year, with the special distinction which Marathefiko received, havin obtained 5 gold medals and consolidating itself as strong representant of quality grape for wines along the everlasting recognition that Xynisteri and Commandaria wine have been consistently earning throughout the past editions. 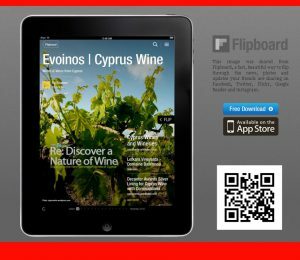 Thus the importance for Cyprus Wine to not only enrich centuries-old tradition in winemaking, but also manages to demonstrate that it can be one of the leading countries of the Mediterranean in quality wine production though local and international wine varieties of a very high standing. The competition judging was performed for 139 individual wine labels in 10 different categories where a total of 41 medals were awarded, 1 grand gold, 15 gold and 25 silver. This entry was posted in Wine in Cyprus and tagged Awards, cyprus wine, cyprus wine competition. Bookmark the permalink.